Following the successful delivery of numerous natural refrigeration projects within the health sector, Green Cooling recently provided a Panasonic CO2 Condenser unit supplying a walk-in freezer at an M&S Simply Food franchise located within a large NHS Hospital. For this project Green Cooling provided a system that included a Panasonic 2kW CO2 Condenser unit (2kW at -30C) with RDM control incorporating remote monitoring, along with the cold room structure and associated services. The project was of a significant size and involved the refurbishment of existing areas within the hospitals main entrance to provide an increased level of service for the hospital visitors. Garry Broadbent of Green Cooling commented, “Alongside providing a retail environment that delivers the highest level of service to the hospital, a project of this nature also calls for the most practical, efficient and sustainable refrigeration solution, which is why Green Cooling selected the Panasonic CO2 system to provide real benefits”. 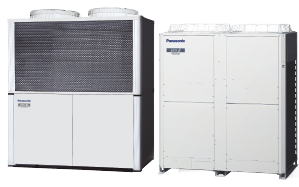 Delivering class-leading low temperature efficiency (over 25% more efficient than the previously used F-Gas HFC refrigerant) the Panasonic Condenser units also achieve the lowest noise levels and are importantly provided with a 5-year compressor warranty. In terms of sustainability, the projects natural refrigerant CO2 credentials mean that the installation sits outside the F-Gas refrigerant phase out legislation and regulations. This means from a-users perspective, the installed Panasonic CO2 refrigeration system not only provides the highest levels of efficiency but also future proofs the site against any cost or availability implications resulting from current or future F-Gas legislation. 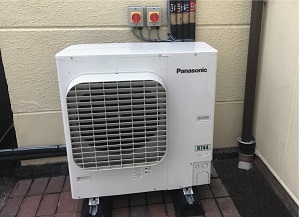 Since its European launch in late 2017, the Panasonic CO2 Condenser range has proven to be attractive to specifiers, with over 250 units now being installed across Western Europe and where a modular approach to medium and lower duty applications is required, as was the case in this application. The units are compact, lightweight, have low noise levels (a range of 35.5 dB(A) to 36dB(A)) and designed to fit into smaller spaces with dimensions of (HWD) 930mm x 800mm x 350mm and weighs only 67kg. 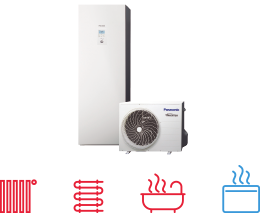 Panasonic is not new to this product range, having developed the latest version of the Panasonic CO2 Condensing units over time, with over 8,500 units being installed in Japan in approx. 3,700 stores since its launch in 2010 and thus building up essential knowledge and understanding of the end user experience and challenges. This solution helps to overcome some of the major hurdles that small retail outlets encounter with previous solutions that are currently on the market. 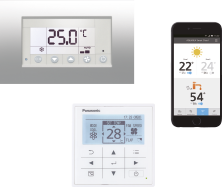 The Panasonic units offer a stable and reliable system that helps to maximise energy efficiency with a low carbon footprint. 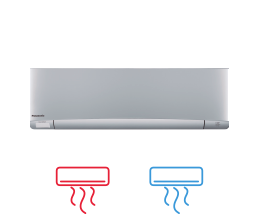 Furthermore, the units can be set to run at low and medium temperatures with four initial settings which can be modified by turning a simple and user-friendly rotary switch to further enhance energy savings. This project successfully delivered a natural refrigeration solution to meet the clients’ sustainability and efficiency requirements. From a legislation and compliance perspective, the use of CO2 in the above installation removed the need on this site for F-Gas reporting and hence there is also no inclusion required within the operators Green House Gas (GHG) report, as no F-Gas refrigerants are utilised. 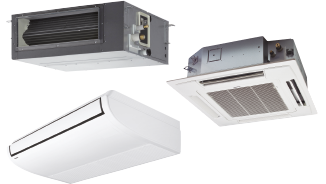 In summary, within this application, the Panasonic CO2 units provided a practical solution which combined the highest levels of efficiency and practicality along with a value-based focus with regards to both capital and whole of life costs.